What days are piano / theory lessons available? Lessons are available Monday, Tuesday and Thursday afternoon-evenings, and all day Saturday at the Kew East home studio. What method do you teach from? Music is chosen in collaboration with students (and parents) to create a motivating and engaging learning environment. A range of materials such as the AMEB syllabuses (Leisure and Traditional) are utilised, along with music of composers and artists from classical to contemporary genres. With all styles, elements of reading and theory are incorporated so that the fundamentals are covered. It is recommended that all students study the early grades of Theory of Music in order to develop their note reading and writing skills, and to understand the signs and terms and historical context of pieces being learned. Students can be prepared for theory or musicianship levels up to AMEB grade 6. Do you prepare students for exams? 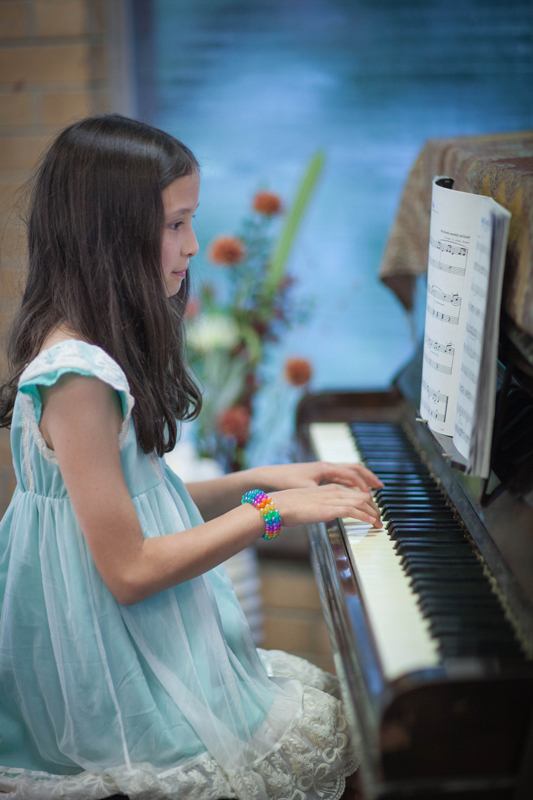 Yes, students can be prepared for AMEB (Australian Music Exam Board) exams in both the Leisure and Traditional syllabus from Preliminary to Grade 7, and Theory of Music / Musicianship from grades 1- 6. Do you offer tuition for adults? You are never too old to start learning! Both beginning students and those with previous tuition are welcomed. Yes, beginners aged 4-8 years old are recommended to enquire about group classes in order to benefit from learning in a group, with opportunities to focus on aural development in a motivating and fun environment. Group lessons are available for students aged 4-8 years old (beginners and students with up to 3 years previous tuition) in a small group environment of up to 6 students per class, subject to availability. Students of other ages may request to add their name to a waiting list, pending other enquiries of a similar age and/or learning level. Please enquire for availability. Can I take photos/videos of my child during class? No - taking photos during class proves distracting for both the students and teacher. However you are welcome to take photos/videos of your child at concerts. Yes! Concerts are held at the end of each semester to encourage students to share their achievements in learning with others, and to be inspired by hearing new pieces. See the Photo & Video Gallery for pictures from previous concerts. Private lessons: A complimentary 15 minute face-to-face meeting is required with students (and their parent) prior to confirming enrolment, which enables discussion and a mini-assessment of the current level to determine musical goals and materials. Students are welcome to book obligation-free single lessons for up to 4 lessons (fee per lesson applies) if there is a space available before committing to enrollment by the term as per Terms & Conditions, however please note the space cannot be reserved if a committment is not made to the full term. Group lessons: Trial lessons may be advertised from time to time - please see the Home page for further information.